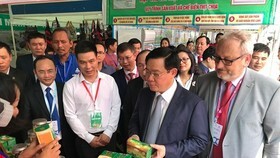 Ho Chi Minh City has not stopped making more efforts to carry out many anti- flooding programs and solutions for the lowland areas in the previous time. The city has launched an action program titled “Reducing flooding, dealing with climate change and sea level rise”, as one of seven breakthrough programs, which the city has determined to implement in period of 2008- 2020. Since the beginning of 2016, Ho Chi Minh City had approved the first phase of investment project to solve flooding due to floodtide and climate change with total capital of over VND 9.9 trillion, implemented by Trung Nam Group in 2017. 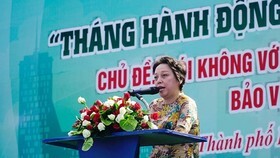 The project focuses on designing culverts to convey the flow and the huge volume of water, and building dyke systems in district 1, 4, 7,8 and Nha Be and Binh Chanh districts. 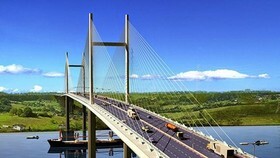 It is scheduled to finish in 2018. 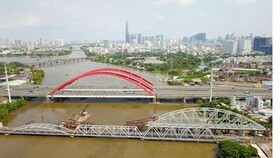 According to the Ho Chi Minh City People’s Committee, the anti- flooding project will contribute in reducing unexpected damages due to impact of water level rise and floodtide covering area of 570 square kilometers with 6.5 million citizens living near Sai Gon River and the center. 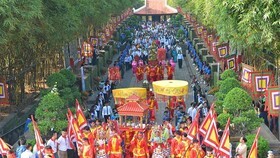 The works would implement in the districts of 1, 4, 7, 8 and Binh Tan, Nha Be and Binh Chanh. 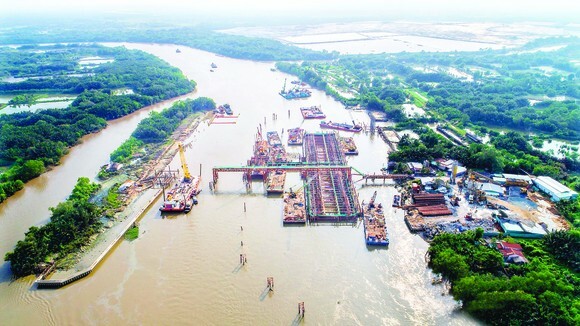 The anti- flooding project is invested nearly VND 10,000 billion by Trung Nam Group which is being in process of completion and putting into operation at the end of the year. Accordingly, six culverts for controlling water level are distributed in Ben Nghe, Tan Thuan, Phu Xuan, Muong Chuoi, Cay Kho and Phu Dinh stations; and 7-8 kilometers dyke system along the Saigon River, from Vam Thuat River to Kinh River; and 68 small culverts are stretch from Van Thuat River to Muong Chuoi River. Additionally, the city will also design pumping stations with its capacity of 12- 24 meters cubic per a second, build management center and system for supervisory control and data acquisition (SCADA). 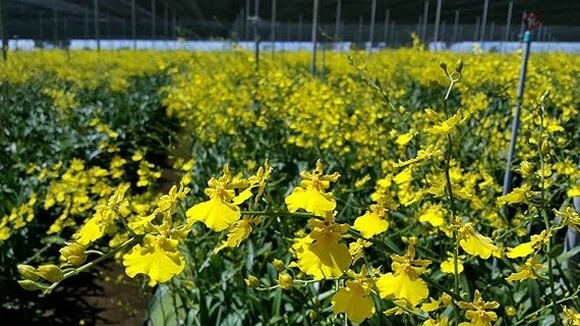 Mr. Nguyen Tam Tien, Director of Trung Nam BT 1527 said that more than 60 percent of the land area of Ho Chi Minh City is lower than water level of flood tide, and approximately 72 percent of fragile land. Landslide, climate change, urbanization and floodtide have caused more and more serious flooding in the city in recent years. 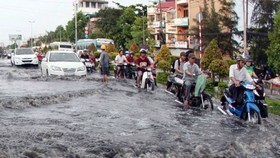 In parallel, the urban drainage systems have been downgraded resulting the city’s low land areas in district 7, 8 and Binh Chanh have still suffered serious flooding. Mr. Nguyen Tam Tien said that sewer system will convey the flows from big rivers to urban areas; particularly, after the system put into operation, it will be comprehensive via SCADA system and water- level monitoring network of canals locating in more than 15 stations receiving data on main river systems. Through the network, water- level data will be noted; and if flood tide increases highly, the system will be automatically close and open its sluice gates. In the case of heavy rain in combination with high flood tide, water pumping machine will pump the volume of water to ensure water- level safety being less than 1.5 meters following standard of water supply and discharge system. The Ho Chi Minh City People’s Committee also directed to move houses near rivers and canals in order to convey easily the flows because the rainfall of 80- 100 mm and high floodtide will neutralize the drainage system. Additionally, the city has adopted plans for water reservoir, built regulations on management and operation of water reservoirs. The regulations have to be integrated with the city’s anti-flood constructions and sewer system controlling floodwater following a decision No. 1547 of the Government. Besides constructions of dyke and water reservoirs, the city needed to continue research development of urban areas accommodated to flooding situation. 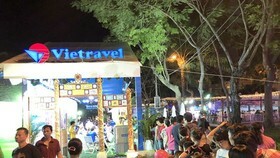 Ho Chi Minh City is a special urban area with more than 13 million people which created huge pressure for infrastructure. The locality has made its efforts to solve the flooding; however, the constructions have been in pilot period or has not been completed, so the citizens had to wait for additional time as the projects are finished and promote its ability.